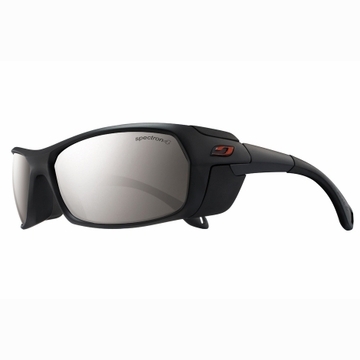 Bivouaks are the worlds first sunglasses with easily removeable magnetic protective side shields which increase protection against enhanced light reflection, on snow or other bright light conditions. Wide lenses offer optimal coverage. Outdoor sports have met their match with the Bivouak, offering solar protection for any conditions.